If you have a word of encouragement or a story of how your life has been changed. Or how God has brought you through situations by faith. Why don’t you encourage someone else with your story by filling out the form below to share how God has been working in your life. Questions? See fine print below. Do you want your name to be posted as anonymous? Those submitting their story to the Your Story page are giving implied consent for the church to post your story online, in print and in church services. 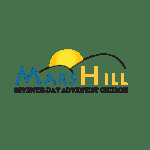 Mars Hill has the right to edit all information submitted to ensure the proper level of privacy is maintained. If you would like to share your story or praise with the pastor and elders only, please send request to pastor@marshillsdachurch.com.